As the holiday season draws near, certain challenges arise. As I ranted talked about before in Tis The Season For Bah Humbug, we don’t celebrate Christmas. Instead, we celebrate Chanukah. This means that we don’t need to put up a Christmas tree, stuff any stockings or tell our kids that Santa is going to come and visit. However, that last item does pose a tricky dilemma. Obviously, we don’t have any personal need for our children to think that Santa Claus is real. However, if we tell them that he isn’t (especially 6 year old NHL), then that story will be repeated to other kids. Kids whose parents have said that Santa would be stopping by soon. The more I think about the questions they might ask, the more I wonder where the line is. At what point does our wishes not to burst any bubbles clash with our wishes to raise our children to believe certain things. To expand this past Santa Claus, what happens if NHL tells a classmate in Hebrew school that men evolved from primate ancestors when that child has been taught that mankind was created by God somewhere around 10,000 years ago. That could understandably cause a sticky situation. To go past my own children, what if an athiest couple’s child tells mine that God doesn’t exist? My Aloha Friday question is: How do you reconcile teaching your child what you would want them to believe while not offending others’ beliefs? I don’t worry about what others believe. We put up a Christmas tree but we do not celebrate Santa. And my children are very young and don’t understand fully yet, but I will not tell my children that Santa is real and will stop by etc. They’ll know we work hard for our money and if God blesses us and we can do gifts for each other, then this is how it shall be. I think your beliefs are what you choose and you should teach your children thus and not worry about what the other parents children will think or be affected. We are all very different and it creates a sort of very interesting balance and so just be and do in what you believe. I think it is hard. JDaniel already has friends who parents don’t believe what my family does. .-= JDaniel4’s Mom´s last blog ..Holiday House Decorating Pressure and Envy =-. “The autobiography of Santa Claus” Like many thing even with Chanukah we do not know if these thing really happened, but we celebrate the thought of it’s possibilities. 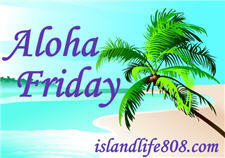 .-= Auntie E´s last blog ..Aloha Friday -Celebrations =-. We have the ‘celebrate everything’ dilemma in our house. My kids are pretty much grown and we’ve been okay celebrating everything but, not too much of anything. As far as the rest of the world goes, it helps to put yourself in the other person’s shoes to consider how they feel and to learn to get along. Raise your family in your beliefs and traditions. We taught our boys about the various other religions of the world at a young age and as a former school teacher, kids just never discussed it. My boys are teens strong in their faith and fully aware of the many other wonderful world religions and are extremely respectful and curious about them. I teach our children our beleifs but also would teach them to accept and respect other too!Most important to always show love! We celebrate Santa and Christmas. As far as your question. Teach your beliefs and when your children come home and ask the hard questions, sit them down and tell your beliefs. Explain that other religions and belief systems have their beliefs and they are not wrong just different. Other kids will believe what they believe and it is not their job to change/convert their minds. Just my thoughts on it. .-= Buck Daddy Rogers´s last blog ..Because I Said So – Dad Edition – The Santa Clause =-. .-= TheAngelForever´s last blog ..Birthday shopping Pandora style =-.